1. He is the only person to be given a featuring credit on a Beatles single. The #1 smash “Get Back” and its b-side, “Don’t Let Me Down,” also a top 40 hit, were credited to The Beatles with Billy Preston. He also played on the band’s Abbey Road, Let It Be and self-titled albums (the latter often referred to as The White Album) and in their famous final rooftop concert. At one point John Lennon suggested having Preston become one of The Beatles. 2. He played on several albums by The Rolling Stones, including Exile on Main Street, Sticky Fingers, Tattoo You, It’s Only Rock‘n Roll and Goats Head Soup. 3. In 1958, twelve-year-old Preston played “Father of the Blues” W.C. Handy as a child in the Handy biopic St. Louis Blues. 4. At age 15 Preston joined Little Richard’s band. 5. In 1967 Preston joined Ray Charles’ band. 6. 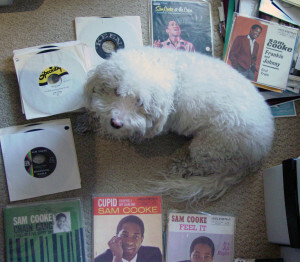 He played on Sam Cooke’s final studio album, the critically-acclaimed Night Beat. Preston was 16 years old at the time. 7. 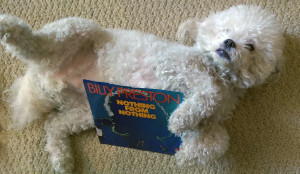 Other artists on whose records Preston played include Barbra Streisand, Elton John, Peter Frampton, Eric Clapton, MeShell NdegéOcello, Joni Mitchell, Jet, Neil Diamond, Sly & the Family Stone, Aretha Franklin, Red Hot Chili Peppers, Luther Vandross, the Everly Brothers, and Johnny Cash. 8. Preston co-wrote “You Are So Beautiful,” a top five single for Joe Cocker in 1975. 10. George Harrison wrote and co-produced “My Sweet Lord” for Preston. It appeared on Billy’s 1970 Encouraging Words album, released on The Beatles’ Apple Records. Harrison went on to record his own version of the song for his All Things Must Pass album, on which Preston played. Perhaps you’ve heard the Harrison version. 11. Preston introduced George Harrison to a woman named Olivia Arias, who worked at A&M Records, for whom Billy recorded after he left Apple. Arias soon became Olivia Harrison. 12. So impressed by Preston’s music was Miles Davis that the jazz legend recorded a song called “Billy Preston” for his 1974 album Get Up With It. 13. Preston’s primary instrument was the organ. The first time he played the clavinet was on his hit “Outa-Space,” which reached #2 on the pop charts. The first time he played the Arp synthesizer was on his hit “Space Race,” which reached #4 on the pop chart. 14. Preston’s singles “Will It Go Round in Circles,” “Nothing from Nothing,” “Outa-Space” and “Space Race” each sold over one million copies in the United States alone. 15. As a solo artist Preston had ten top 40 hits on Billboard’s R&B chart. 16. Preston played Sgt. Pepper in the ill begotten film Sgt. Pepper’s Lonely Hearts Club Band, one of my favorite bad movies. In the film he sings “Get Back” to Billy Shears, played by Peter Frampton, just after Shears jumped off of a roof to kill himself. Perhaps I should have written SPOILER ALERT, but you can’t spoil something that stinks to begin with. 17. In 1972 Preston became the first rock performer to headline at New York’s Radio City Music Hall. 18. Preston was a musical guest on the first episode of Saturday Night Live. 20. Preston died on June 6, 2006, from complications from malignant hypertension. He was 59 years old.